A tricky par three for its distance. The green sits up high requiring an extra club to hit this blind green. 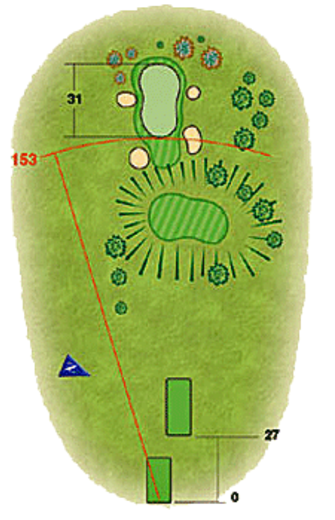 The green is deceptively long and narrow and is guarded by bunkers at the front and either side. Anything short will leave a tough up and down.